Your friend will be strutting his stuff in style with one of these gorgeous soft mesh dog harnesses. These harnesses are super comfortable for your dog and are made of a super strong, breathable mesh that is wonderfully soft and colorful. Designed with both comfort and complete control in mind these harnesses are top notch and will hold up to even the toughest usage. 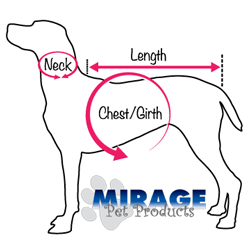 With an array of bright and superior colors you can get just the right harness for your dog. 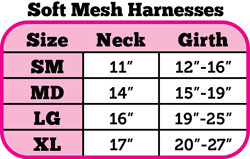 Get one of these soft mesh dog harnesses for your dog today!